The "Car Crash" element to song-poems is one that is hit or miss for me. That very aspect which brings some people to the song-poem table doesn't interest me, at least as often as it does. A big exception is Halmark records, which are so completely removed from anything remotely resembling what was actually going on in music at the time (the mid 1970's) as to be completely mind boggling. 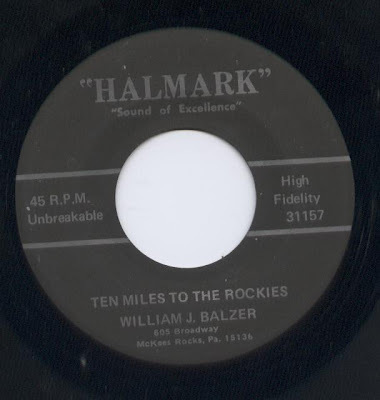 At yet still, most Halmark records are a slog, for much the same reason. Then along comes a record like "Ten Miles From the Rockies", with its match of truly ridiculous lyrics, a setting of those lyrics which was never going to work (listen to the way the lyrics are shoe-horned in at times), and the downright bizarre choice to have the singer insert a "doo-doo-doo" verse in the middle of a lyric portraying a man who was clearly in no mood (or condition) to sing a "doo-doo-doo" verse. With that said, I'll let you discover the specific peculiarities of this record for yourself. Enjoy! For quite some time now, I've been wondering when it was going to be that I would hear the next record that made me stop and say "I need to hear that three more times right now". It's been an unusually long wait, probably since around May, when my friend Stu sent me a link to the incomprehensibly wonderful "I Like God's Style" by Isabel Baker (which everyone should seek out, by the way). But the joys of listening to that one had faded into the background some time ago. As usual, this wait for the next big thing ended with no warning, in this case, late last week. That's when I went to play a stack of 45's I'd had sitting around for months, waiting for the chance to dig in to them. Right on top was a 45 on the Blue Hen label. I probably bought it based solely on the look of the label, which screamed out "this might not be good, but it's bound to be unique and probably interesting". Well, it's better than I could have imagined. There is not a second of this record that I don't adore. 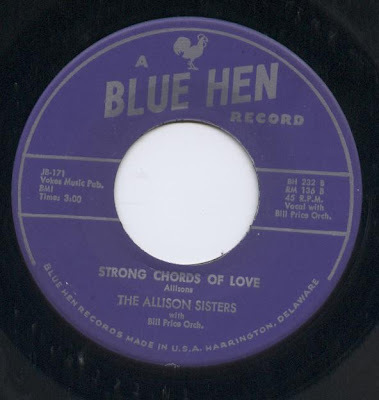 In gorgeous, and appropriately ragged and imperfect three part harmonies, The Allison Sisters sing some of the best lyrics about new, overpowering love that I've ever heard. Then comes the solo section, featuring a rollicking piano which ends it's featured turn with a neat little climbing riff, made all the more indelible in that it's not quite played right, followed by a neat little trebly country guitar thing. The rain and the storm only add to the flame"
There's magic in speaking your name"
What a great chorus. The last line just did me in - "there's magic in speaking your name" - like most other people, I'm sure, I've felt just that way a few times in my life, in both shared and unrequited situations, and I was just stopped short by the words of those last two lines. Of course, they only worked because the tune, arrangement and vocals are just as magical as those lyrics. I saw with amazement that this was intended as the B-Side. Not to take away from the A-side, which is quite good enough in it's own right, but the underside is clearly the better of the two. 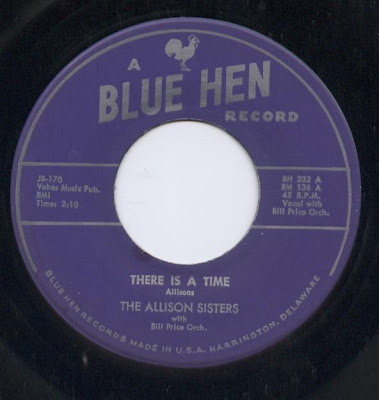 Here's the A-side, with the Allison Sisters seemingly taking some of the same biblical lyrics that Pete Seeger would later mine (okay, probably not), and going into a different, more secular direction with the ensuing lyrics. Again, there are some great three part harmonies here, and a neat solo turn from that trebly guitar. There is a lovely, unbeatable homemade feeling to this whole record. I can picture the sisters, who seem to be smiling broadly while singing, and I feel the affection between them, and likely between everyone who is heard on this record. This is music making at its most sublime. In order to get back on schedule, after not posting a song-poem of the week last week, I'm posting my second set of song-poems for this week! Today, more from one of my favorite labels, Sterling. 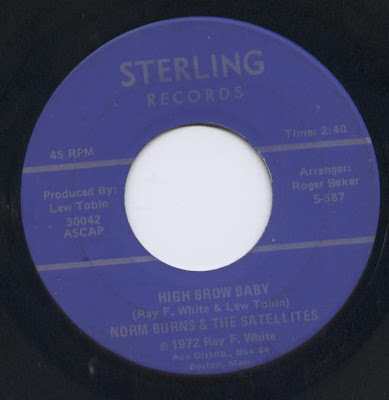 The first song is "High Brow Baby", and it features much of what I like about Sterling records - first and foremost, a vocal by Norm Burns, that crisp lead guitar, and a groovy beat. Like most Sterling records of this vintage, label honcho Lew Tobin took a co-writing credit, which was fairly unusual in the song-poem world. Even though a label staff would, in most cases, write all the music for the poems, usually only the song-poet got the credit. Assuming it was Lew that wrote all of these tunes, I will admit to much admiration for him - songs such as "Darling Don't Put Your Hands On Me", "Whirl Whirl Whirl" and "Stay Where You Are", are great not only for their unique words, but also due to the first rate musical side of the song-writing. When I started listening to today's featured track for the first time, a few weeks ago, I had to start it over again to make sure I'd actually heard the lyrics right. Because this one goes into a new category, at least among song-poems that I've heard. 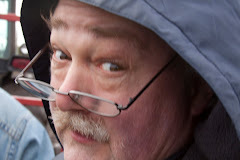 There are a few cases I'm aware of in which a friend of mine - a song-poem collector of some reknown - has deliberately submitted lyrics of someone else's song, in some cases a famous song by a famous performer, to the current song-poem companies to see what they would do. But this is different. What we have here is someone who took an existing song, used the key lyrics from the chorus and a few of the other lyrics, as well as a specific detail from the existing song, added new lyrics, and submitted the whole creation as her own. 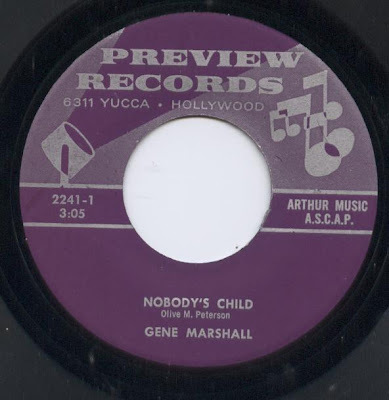 "Nobody's Child" would not have been a terribly famous piece in the 70's (when this was likely released), but would have been known by country fans, due to a version by Hank Snow, or Beatles obsessives, due to a fairly different version done by the fabs in Hamburg, before their fame. Just like a flower, I'm growing wild"
She adjusted those lines a bit, took a few other lines and rearranged them as well, and threw in a key aspect of the original song, that the orphan in question is blind, then built a lyric around it, which Gene Marshall sang for her and for posterity. Again, I'm not sure I've seen this particular conceit among song-poem records, prior to this find. 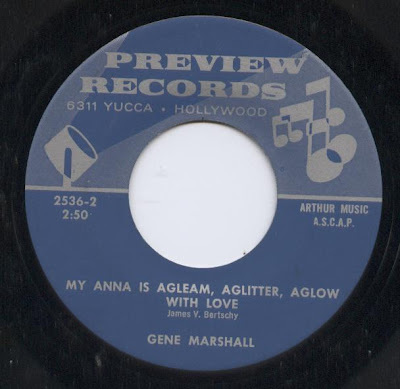 Please enjoy Gene's touching rendition. I don't really have a lot of heroes. I suppose there are a few people who had profound effects on the world, politically and socially, nearly all of them from the past, who I find to have been heroic. And there were a few sports stars when I was younger. But most of my few heroes have been musicians. And rarely just musicians, but people who also made an effort to change and improve things. John Lennon, Pete Seeger and sadly little-known Dr. Louis Gottlieb come to mind. While those three sought to change things socially, Les Paul - who I would put on almost an equal tier with those mentioned above - was a hero for not only his incomparably superb records, but even moreso because of the ways that he improved - really revolutionized - recording. I'm hardly the only one to say it, but simply put, many recordings and performances from the last sixty years (at least the non classical ones) would have been impossible without the developments and improvements explored and perfected by Les Paul. Among other things, he either created or improved the electric guitar, echo on recordings, multi-speed recording and the fade-out. And of course, he invented overdubbing. For that alone, he deserves to be on Mt. Rushmore or something. When I put together a collection of my own material - a collection of one-man band recordings, all featuring multiple overdubs - it was dedicated to Les. Moving away from the song-poem thing for a moment, here's a record that landed in my collection along with hundreds of others, when a friend of mine bought the remains of what was called the "Dime Bin" from a store in Evanston, Illinois. The store had a plastic garbage can filled to the top with records that the owner felt wouldn't sell for more than a dime. After the current set of dime bin records had been picked over for five or six months, the store owner would sell us the remaining thousand or so records - the ones which didn't even sell for a dime - for perhaps $40 or $50. The number of gems that I found in my collection via this method is hard to calculate. Of course, most of the stuff was either dull as dirt or in such poor condition as to make it worthless, but there were always a few dozen records that made the purchase more than worthwhile. Such was the case with today's selection. 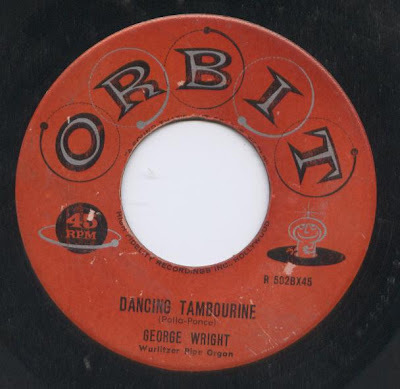 George Wright was an extremely popular organist in the 1950's, although when we were sorting through dime-bin records in 1985 or so, I'd certainly never heard of him. And I've since found out that the song offered today was one which was recorded many times, by various bands. I've heard some of them, and they don't come close to approaching this version. From the insanity of the opening bars (and no, it's not at the wrong speed) to the variety of tones and settings Mr. Wright used on his pipe organ, to the perfectly arranged final moments, I consider this to be a perfect record - everything in place, and weird than a pipe organ instrumental has any right to be. And for those of us who don't mind a good pre-rock era pop melody, this is great from that standpoint, too. I adore the record label, too. There also exists an improvised video, shot by your humble blogger back around 1986 or so, and featuring my two best friends dancing in a way that suggests seizure activity, to the haunting strains of this 45. No doubt all song-poem records are "rare", given that none of them was likely produced in numbers to match even the smallest of Billboard Hot 100 chart hits or near hits. 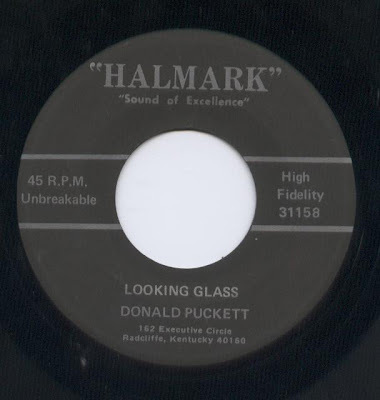 On the other hand, there are certain records which turn up much more frequently than others on auction sites and in other places, particularly certain Preview 45's. But here's one I've never seen referred to anywhere but in the one eBay auction at which I bought it, and on a label which isn't referenced anywhere that I can find. 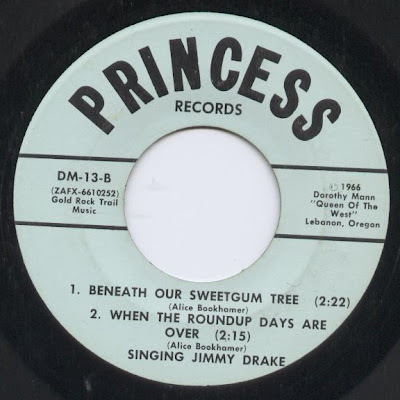 Indeed, this may be the only record ever released on the "Princess" song-poem label, although the record number (13) may indicate that there were a few others. Out of the thousands of 45's in my collection, this disk also holds the distinction of being the 45 for which I paid the most money (although, technically, this is an EP). This record puts a lot of questions in my mind: Who is "Dorothy Mann - Queen of the West"? She's not the author of any of the songs. Why is this speciality label EP divided between two songwriters? And do the songs on the B-Side really date from 1966, at which point the singer involved was a decade removed from his most active period, and probably well along the way of what was likely a long, slow decline? 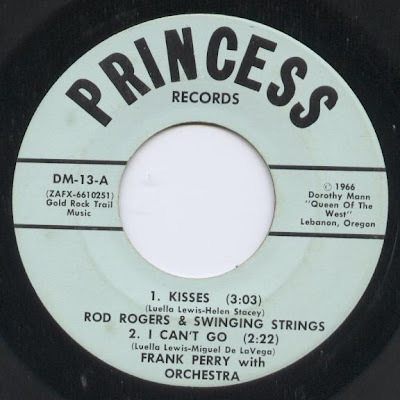 And then Rod steps back to the Chamberlain and lets Film City regular Frank Perry (another vocalist I enjoy) take over the lead on "I Can't Go". I suspect the real draw to that auction, though, was the fact that the two songs on the flip side are by "Singing Jimmy Drake", better know as Nervous Norvis. His story has been told, in great fashion, elsewhere, and the CD of much of his material, put together masterfully by Phil Milstein, is a must-buy for fans of song-poems, of the offbeat, or just for those looking for something a little different. Again, these last two tracks really make me wonder - Drake died of Cirrhosis of the Liver in 1968. Was he still recording pieces like this in 1966? Perhaps, but I suspect we'll never know. One of the many qualities which crop up frequently on song-poem records is that the titles often are the first clue that the record is a song-poem, and that the author hadn't a clue about making a hit record. The song-poem database (and my collection) are full of lengthy, clumsy and half-witted titles. 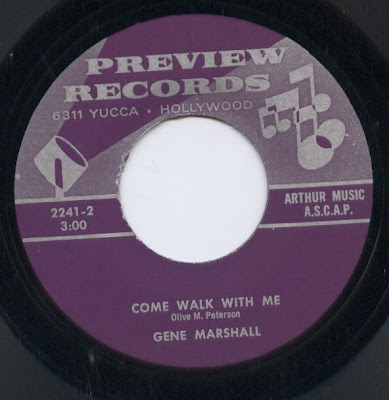 Today we return to one of my favorite singers, Gene Marshall, but the real focus is on the mouthfuls of titles he had to sing in recording BOTH sides of this 45. The flip side is not quite as ridiculously titled, but only in comparison. 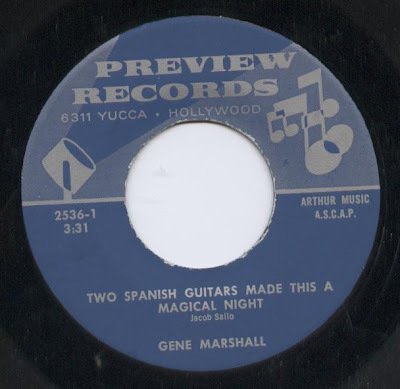 Really, can you imagine a DJ saying, "here's Gene Marshall with 'Two Spanish Guitars Made This a Magical Night' "?